Hello Loves, To bring a little sunshine your way and to forget about these rainy days, we thought we would remember a glorious wedding day filled with the sun shining, warmth and of course LOVE. 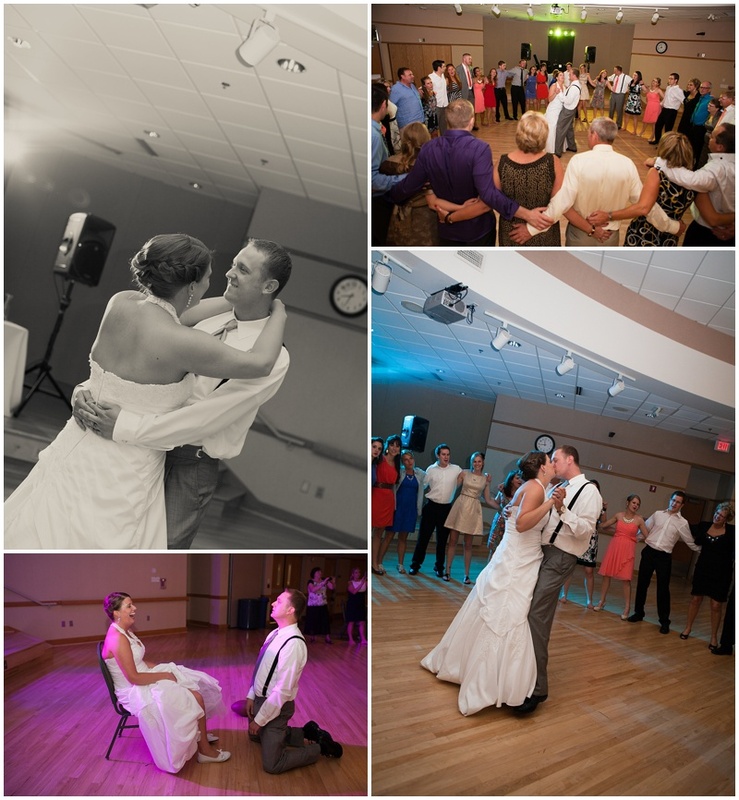 Kyle & Chayna were so fun, sweet and easy going. 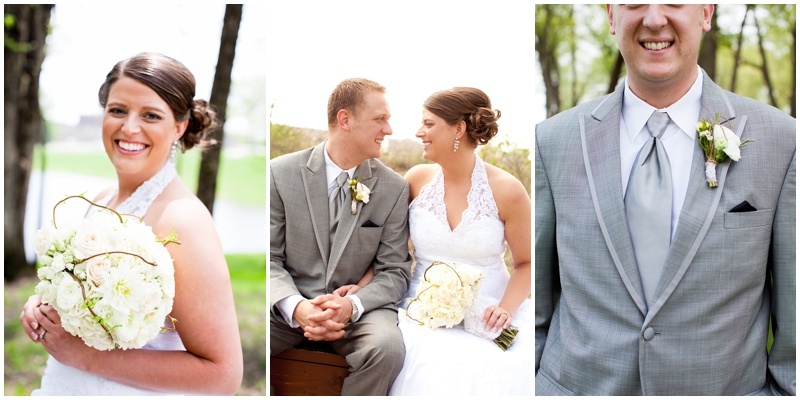 Plymouth Creek Center & Millennium Gardens in Plymouth, MN are considered perfect for weddings where nature is the backdrop and the view is breathtaking. We adore the bride's "something blue" puma's and the beautiful necklaces and clutches given to each one of her bridesmaids. The necklaces were a lovely touch to the coral dresses donned day of. 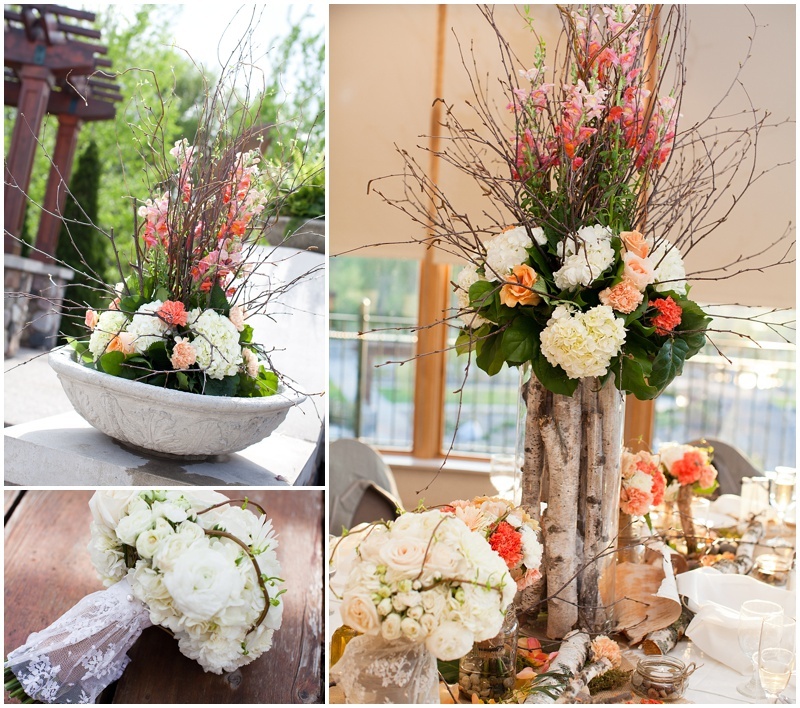 If the floral outside was beautiful enough for the guest, when they walked into the venue they were in awe with the gorgeous centerpieces La Petite Fleur created for their wedding day.